Paula joined the Air Force and was stationed at Robins AFB, GA. Her enlisted rank was Airman First Class (A1C). 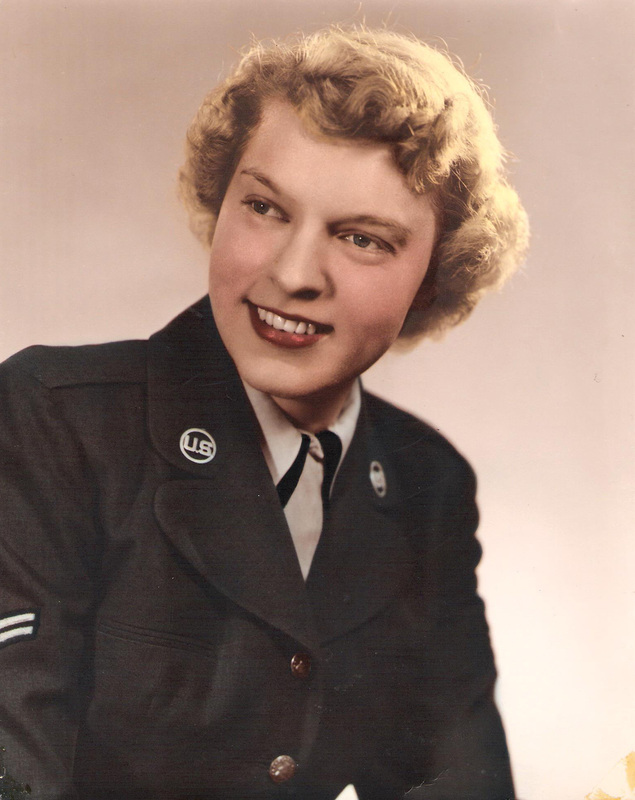 Paula was in the 581st Air Force Band and played the clarinet and bagpipes. Virginia enlisted in the Air Force from 1952 to 1955, where she was an Airman First Class(A1C). She worked in the personnel office, Headquarters Air Weather SUS. Another duty station was the 4412th Squadron, Langley, AFB, VA.
Thalia is a USAF MC Ret, and also has a PHD. She served from 1967 to 1998 where she served three tours in Vietnam 1968-1969,1971-1972 and 1972-1973 , and TDY to 321 Evac Pleiku. She was awarded the Bronze Star with “V” for valor. Other duty stations included Greek Embassy, Athens, and language analyst S.E. Asia and Mediterranean S.W. Asia. Sharon was a sergeant in the Air Force. She served at Plattsburgh AFB New York 1971-72, and Yokota AB Japan 1972-75.